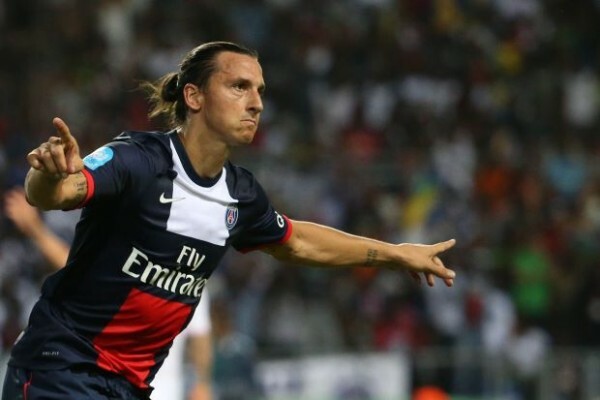 A return to the Serie A for Zlatan Ibrahimovic? Two of his former clubs, AC Milan and Internazionale FC, are trying to sign the Swedish striker, who has probably played his last match for PSG. For a week or two it did seem like Ibrahimovic, who played at the San Siro for both Inter (2006-2009) and Milan (2010-2012), will be landing in Northern Italy to play for the Rossoneri, but Inter have been pegged as the favorites to land Ibrahimovic in the last few days. It’s quite incredible that one of the most prolific scorers of the last 10 years in Europe and someone who is a walking championship machine (ten out of the last 11 years counting the two removed from Juventus’ trophy cabinet) in Italy, Spain and France. He scored 19 goals in 24 league matches for PSG last season, 30 in 35 (all competitions) while the impressive 106 in 126 since arriving in Paris suggests he’s not a player that should be let go. But he is going to be turning 34 in three months, and while his numbers are still excellent, this might have been the first season showing Ibrahimovic is getting older not just going by his date of birth. There’s also the matter of difference in expectations. Ibrahimovic has never won a Champions League title, and maybe no team with him as their leading man will. It’s difficult not to play around him and with him at the center of everything. Ibrahimovic’s presence on the pitch is so commanding and drawing, it’s impossible not to keep him as a center piece even with so many other gifted players around him. At PSG, reaching the Champions League semifinal and doing other great things is the main goal. They’ve already conquered France by outspending everyone. In Italy, for both Milan and Inter, it’s a very different outlook, despite the huge fan base and incredible history. Both clubs have fallen on hard, weird, strange times. Returning to the Champions League and looking relevant again is all that they crave at this point. Breaking the Juventus dynasty (it’s starting to look that way) is still more than one season away. And Ibrahimovic? He’s available for less than £4 million if rumors are to be believed. Maybe England is more enticing, and can pay more money, but returning to Italy might be the better option for him. An easier league, and an opportunity for him to give it a boost in both the level of football and exposure. He always stands out, but it might not be as easy in England.